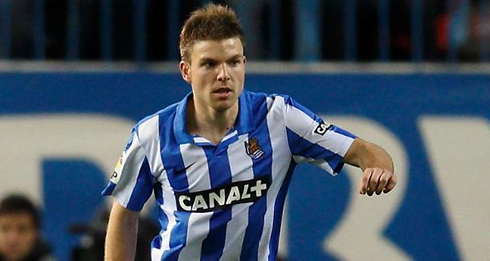 ﻿ Asier Illarramendi: "Cristiano Ronaldo is the best player in the World"
15.07.2013 » Asier Illarramendi: "Cristiano Ronaldo is the best player in the World"
The most recent Real Madrid signing, Illarramendi, has spoken a few words in the past days and didn't forget to praise his new teammate, Cristiano Ronaldo. The former Real Sociedad midfielder stated that there is no better player out there than Ronaldo himself and that he is eager to start working with his new team. This Monday, the Merengues will present themselves in Valdebebas, for the first training session of the season. 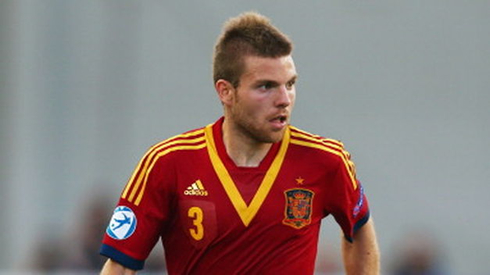 Asier Illarramendi signed for Real Madrid after the club decided to pay for him an impressive transfer fee of 38.9 million euros. Judging by the 23-year-old's words, he's ready for the challenge that lies ahead and the high demands that come with it. Speaking to Real Madrid TV, the former Real Sociedad midfielder didn't hesitate in affirming that Cristiano Ronaldo is the best in the World and that he deeply admires Xabi Alonso's football, precisely the player who many point as being his natural predecessor. The Basque player has led the Spanish U21 National Team to a successful journey in the last European Championship, but is certainly aware that to have an impact on a team like Real Madrid, it's a totally different matter. As we've seen in June, he sure has proven of being capable of dictating the tempo in the Rojita's midfield (Spain's U21 National Team). 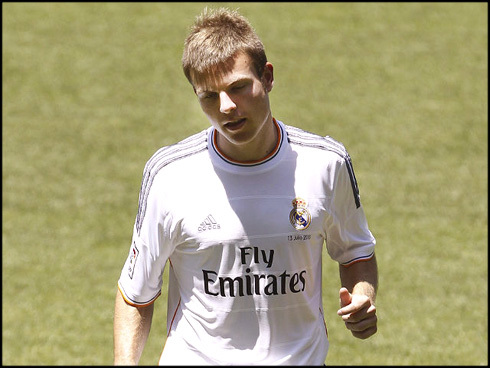 The 38.9 million euros paid for Illarramendi made him the most expensive Spanish player that Real Madrid has ever signed and at this stage, it seems perfectly legitimate to wonder if this youngster is really worth the money he costed. The price tag has almost transformed him into a new "Galactico", even though he might not become an immediate starter right this season, as he is expected to slowly start filling Xabi Alonso's shoes in the team. 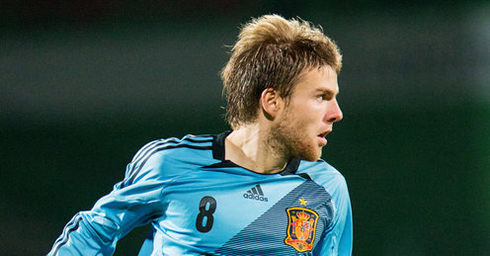 Illarramendi: "Arriving to Real Madrid is surely a very big change for me, but I'm not afraid. It will change my life a bit, since I'm from a small town with only 5.000 people and suddenly coming to the capital is definitely a big move for me. I am truly happy to be here and the fans have already given me a warm welcome during my presentation. This is just the beginning and now it's time to work hard! ", promised the former Real Sociedad golden boy, who will start training with Cristiano Ronaldo and the rest of the team this Monday. Asier Illarramendi: "A club like Real Madrid has always great players, but the main reference has to necessarily be Cristiano Ronaldo. He's one of the greats, the best player in the World and we have to be at our best to play alongside with him. I hope that everything goes our way this year, so we may give our fans the titles they strive for. I can assure I'll give everything I have on the field. The Champions League will surely be one of the biggest objectives and I believe we'll have good chances to win it at the end of the season", remarked the Basque player. The Spanish midfielder will wear the number #24 on the back of his jersey and we may already end up seeing him in action in about 6 days (July 21), as Real Madrid will take AFC Bournemouth for the first game in their pre-season schedule. Alongside with Illarramendi, the Merengues fans will certainly also focus their attention on Isco, the other big signing the club made this summer and ultimately on Cristiano Ronaldo, who will be training with the team from day 1 and is therefore expected to have some minutes against the British side. Cristiano Ronaldo has ended his vacations and returned to Madrid this Monday, July 15, to kickoff with the pre-season training. In the meanwhile, you can watch Bournemouth vs Real Madrid, Lechia Gdansk vs Barcelona, Singha All Star vs Chelsea and Swindon vs Tottenham, all matches available at our football streamings section.